Baby E is almost five months old. Whilst packing away his smallest clothes I decided there are three things so special that they have to go on display. 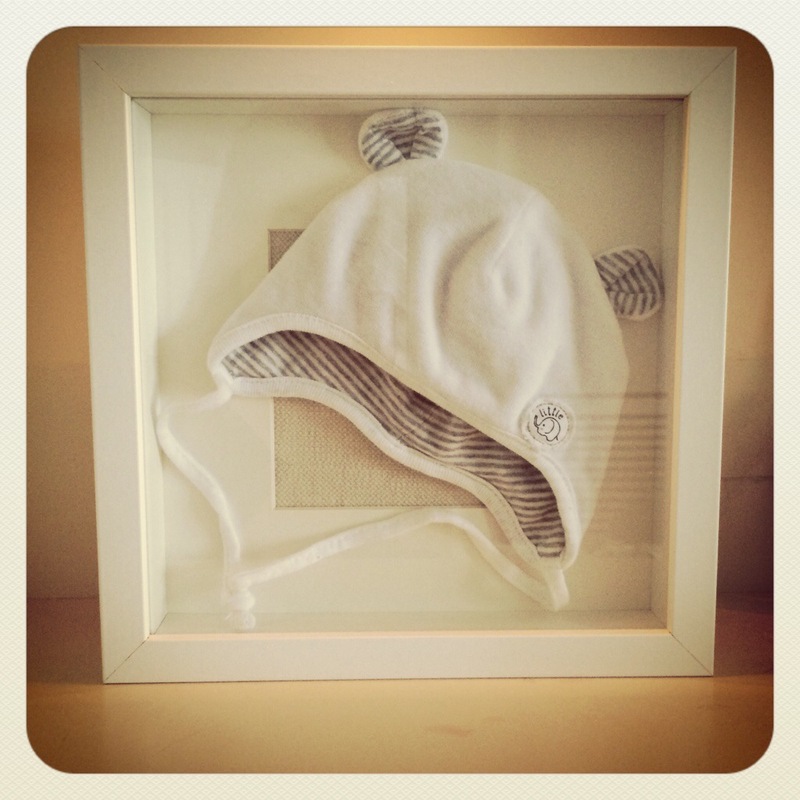 These are; The hat that the midwives put on him as soon as he was born – the first thing he ever wore apart from a nappy! 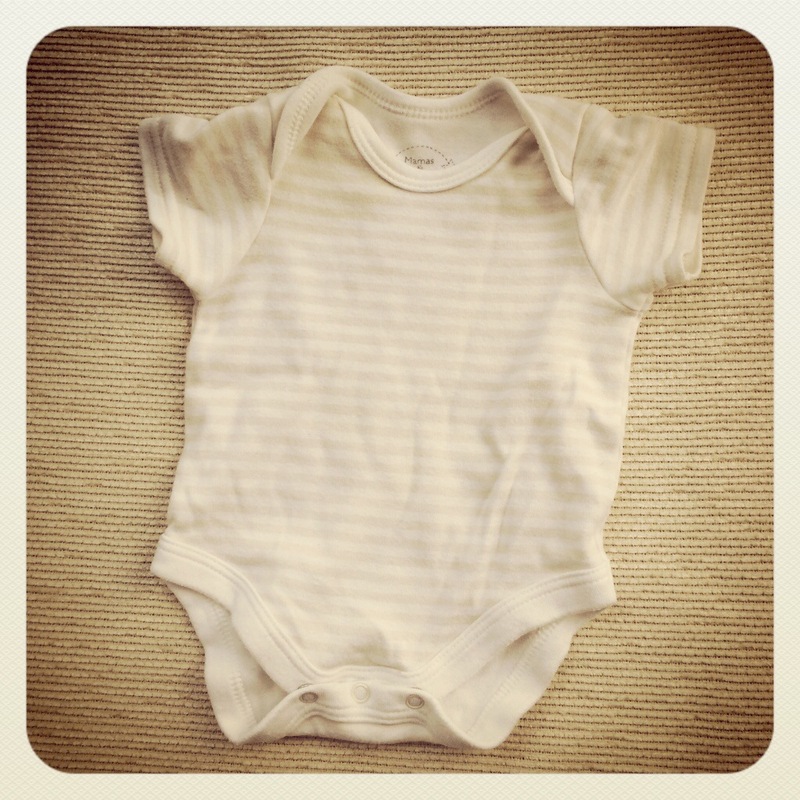 The vest he wore and was dressed in when I first got to spend some proper time with him in his incubator, which was size newborn and looked huge on him. 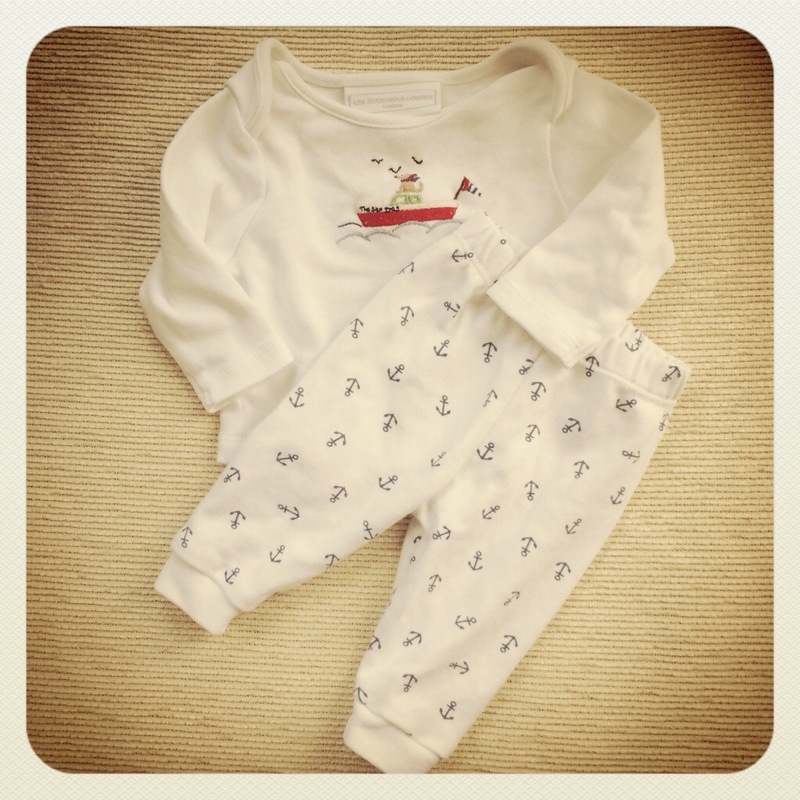 And some very cute White Company sailor pjs which were a present from our lovely friend O. I’ll see that he always has White Company pjs, I love them! Once individually framed these will go on the blank nursery wall and form a picture gallery. I’ve been planning picture galleries in other rooms for ages but get stumped on what to frame and how to lay them out. For this I’m just going to start with the first few items I have and let it grow organically from there. Last night I had some energy (a very rare occurrence!) and took the plunge and started with the hat. I had an Ikea Ribba shadow/3D frame in my craft stash which I repurposed and here’s the finished product. The frame came with mount so I just lay the hat how I liked and chose a background. I have trouble committing so used double sided tape rather than the glue gun to fix the fabric in place. After playing with some lightly patterned scrapbook papers for the backing I settled on some oatmeal fabric I had lying around, which was actually a sofa fabric swatch (hoarding comes in handy!). I’m looking forward to getting frames for the other pieces (below) and finishing a project for the first time in a while.